Locates Wires, Valves, and Faults. External Speaker or Headset Reception. Analog Visual Strength Meter on Transmitter and Receiver. User Selectable Power Output and Reception Levels. Optical Sensing Auto-Off on Receiver. Custom Molded Case fits behind your seat. 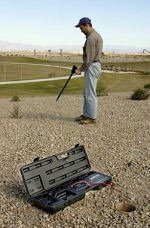 The Pro-700 Wire and Sprinkler Valve Wire Tracker is a new irrigation tester for irrigation contractors and sprinkler maintenance personnel. Incorporating a powerful transmitter and sensitive receiver, the Pro700 tracks irrigation wires, finds missing sprinkler valves, and detects damage to vulnerable underground cabling. The Pro700 transmits an easy to follow beeping signal that is tracked by the extra long receiver. Simply connect the transmitter to ground and the wire to be tracked and turn it on. 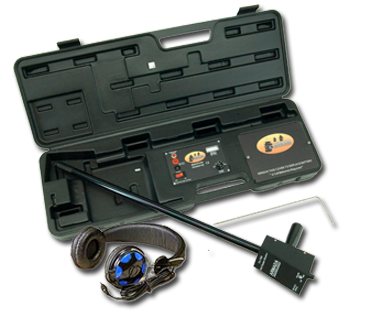 Follow the beeps with the receiver using the visual meter, external speaker, or a headset. It is that simple. The Pro700 incorporates many features not found on ordinary, outdated models. 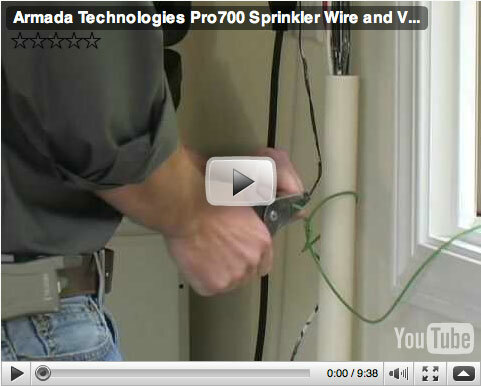 The Pro700 has a 27 inch receiver, avoiding the need to bend over to track wires. An external speaker is standard, but a headset is included if a user prefers. Standard “D” batteries power the transmitter, making replacement simple. An advanced electronic circuitry provides 60hz buzz rejection or cancellation, for a clearer, cleaner sound. The power and volume knob is on the frontof the Pro700 receiver. Turn on the receiver. Make sure the transmitter unit is also powered on. Bring the receiver near the Pro700 transmitter. The receiver is working properly if it emits a beeping sound. A high-pitched tone means the user is too close to the receiver, or that the batteries are low. A fading signal is also a sign of low battery power.